Home Local Local Editorial Gilmore’s Blunder Again! Nashville has a growing and severe problem with violence and crime, something that is reflected by the 107 criminal homicides that occurred in the city last year, the most since 1997. It is an issue that requires serious attention and leadership from those in positions of power and leadership who were elected and are supposed to be dealing with it. Given the seriousness of the problem, one would think Metro council members would be particularly careful to say exactly what they mean whenever discussing anything around these problems. “I think we are really at a crisis, and people do not recognize that there are kids out there that are in such poverty that we are like a Third World country. “I felt like I was in Beirut.” Gilmore was talking about witnessing an incident on Pearl Street, just off D.B. Todd Boulevard and Charlotte Avenue. 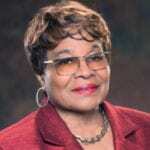 She said she saw about 60 juveniles throwing bricks and rocks at each other, and tried in vain to get them to stop. She added it took police nearly half an hour to respond. But unfortunately, due to the clumsily worded statement she made, very little attention went to such questions as why were these youths doing this, or why did it take the police so long to respond. Instead the majority of responses focused on her Beirut comment, making it seem Gilmore was insulting both Beirut and North Nashville by labeling them hopeless situations. Making matters worse, Gilmore said she once lived and studied in Beirut, so you would think she of all people would be extremely careful in making comparisons and judgments. For those who think this is making a big deal out of nothing, a Lebanese-American news site picked up Gilmore’s comments and ran with them. So did multiple television stations and the mainstream daily. There was so much heat and criticism directed her way she was obligated to make that apology. In the meantime, what she SHOULD have been talking about ended up getting overlooked and ignored. For one, the fact young people in our community feel so hopeless and embittered they end up fighting in the street. Secondly, that the police think it is so unimportant they take over half an hour to respond in our community. In addition, the topics of who gets city money, how much of it goes to which groups, and are there better uses of it than are currently utilized are also very important. 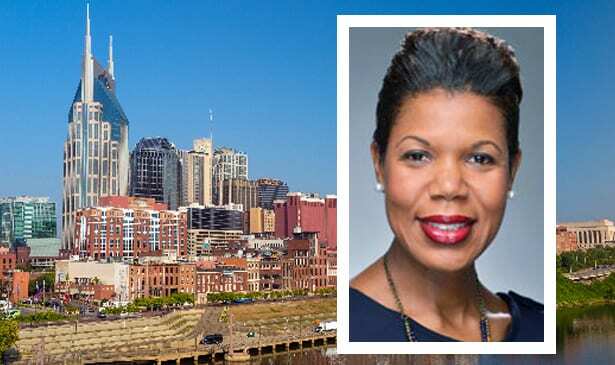 In her position on the council, if Gilmore had any political power in Nashville and was more savvy in terms of public statements and analysis, THOSE are the areas of emphasis that should have been the focus of her comments. Her ill-timed remarks also represent another example of how desperately Nashville’s Black community needs new and visionary leadership. The mainstream media sits back and watches the severe conditions in North Nashville, content to wait until Gilmore or someone else says or does something stupid then attacks them, forcing the bulk of what’s supposed to be our self anointed leadership to constantly stay in reactive mode or they constantly target our Black males who refuses to operate in a manner that is subservient. Any Black person who doesn’t come across subservient, willing to make bold decisions, or doesn’t consult with mainstream media before they make a move, comes under racist fire. It doesn’t help matters any either when loose cannon black politicians go off without thinking then have to come back and apologize to the white media. The bottom line is once more we see the results of inept and unfocused Black leadership, how it operates, and what it costs this community in terms of image, perception, and more important, credibility. There is simply too much at stake for those people who have been elected to represent our interests to act or speak irresponsibly.